LOUDON, NH – Many of NASCAR’s Sprint Cup stars live in and around Charlotte, N.C., and, even though they are in New Hampshire this weekend for Sunday’sBad Boy Off Road 300, it’s hard not to think about what is happening back home. A curfew has been imposed in Charlotte in the wake of sometimes violent protests over the death of a black man shot by a police officer. The National Guard was called in after looting and property damage erupted and a civilian was shot. He later died of those injuries. Among the buildings damaged in the protests was the NASCAR Hall of Fame in the downtown area of Charlotte. “Obviously, we’re trying to do things here (at New Hampshire Motors Speedway) today but, yeah, there’s an emotional reaction,’’ said Joey Logano. “A lot of times when you see things like this happen, it’s in a different city and you don’t recognize where it’s at. But, when you see the NASCAR building getting vandalized and you see areas of the city that you know very well with just crazy things happening, it makes you sick to your gut. Matt Kenseth said he hasn’t been able to follow the situation at home nearly as closely as some people. 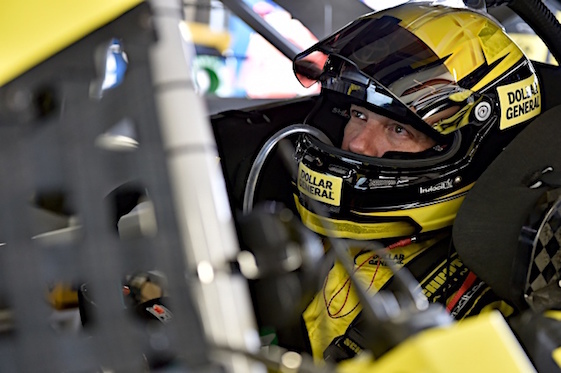 Kenseth’s focus right now is on racing and trying to make it three straight victories on New Hampshire’s one-mile oval, a track that used to be one of his worst. That changed when Kenseth left Roush Fenway Racing for Joe Gibbs Racing before the start of the 2015 season. “Some of the places that were my strongest when I was with Roush are probably some of my weaker places now,’’ he noted Friday before the first Cup practice. “And some of my weaker places when I was there are some of my stronger places now. Logano, who has won twice here, including the fall race in 2014, heads into the weekend fifth in the 16-driver Chase standings, while Kenseth is seventh.Sunday’s race is the second of 10 events in the stock car playoffs. “It just feels good to win, no matter what,’’ said Logano, whose only win this season came at Michigan. “It’s so hard to win. So when you’re able to accomplish that feat, it’s an awesome feeling. Kenseth said he doesn’t feel like he has any particular edge this week because of his history at the track. “It depends how the cautions fall,’’ he said. “You never really know for sure when you’re going to get them. “Last fall ended up sort of turning into a fuel mileage race. … We pitted late enough where we had enough fuel to make it to the end. This (July), I felt like we had the best car and we pitted and some guys stayed out and we were fast enough we were able just to pass those guys and win the race.